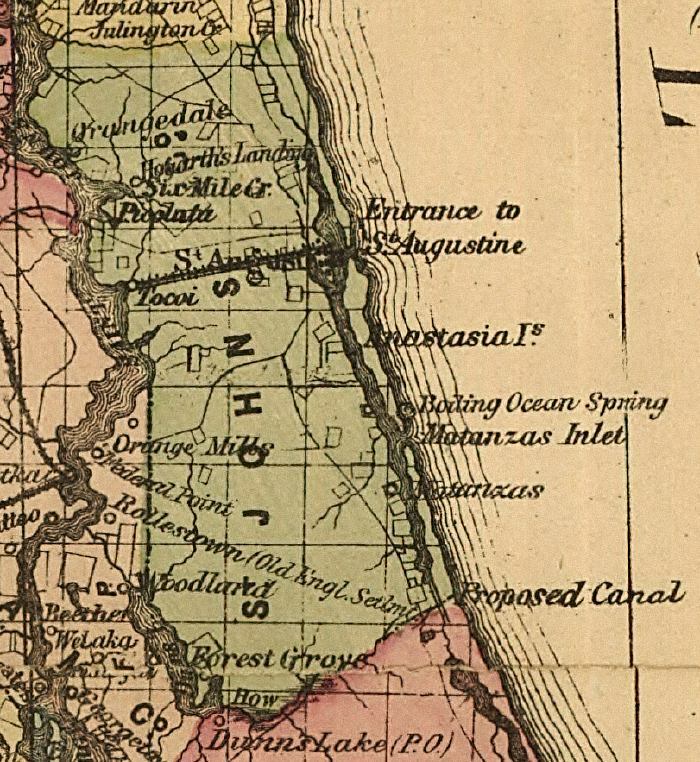 Description: This detail of a map of Florida indicates Saint Johns County current to 1874. It shows drainage, township and county boundaries, cities and towns, battlefields, and submarine cables to Havana. It also lists operating and newly chartered railroads of the time. Some of the features shown are Saint Augustine and Matanzas.